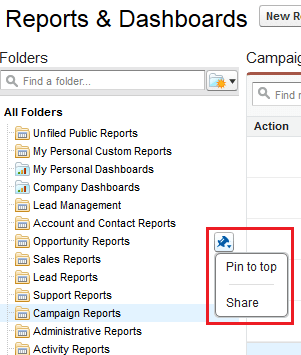 A folder is a place where you can store report, dashboard. Folders can be public, hidden, or shared, and can be set to read-only or read/write. It means a user may have access to several report and dashboard Folders. 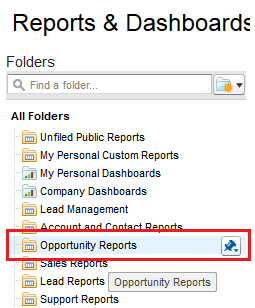 It’s difficult to find the report folder that you are looking for when it’s required, every time you have use search option to find report folder. Business Use case :- Users in Universal Container using report folders on a daily basis. In their organization they have more than 200 report folders. 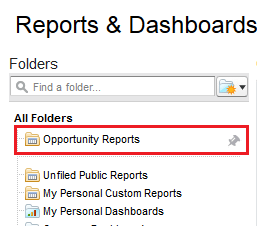 Users want a way so they can move Opportunity report folders to the top of the page. First of all thanks to Brendan Le Thuaut who post this idea (Pin reports folders) and everyone who voted. 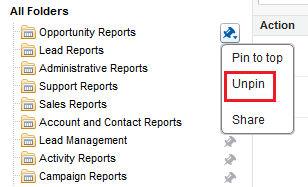 After Summer’14 release you can able to pin report folder like you can pin objects after searches (Existing feature). Now you can pin your most-used report and dashboard folders to the top of the folder list so you don’t have to scroll down every time. You can pin as many as report folder you want. You can pin maximum of 10 report folders. Note: -To learn more about summer 14 release download release notes from here. We have this fuinctionality working in one sandbox, but it is not working in our full sandbox or production. We did not enable any settings (including in the box where it is working). The release doc does not reference a need to do so. Is anyone else experiencing problems? Not working it means not enable or what ? For your information production org is not updated to Summer’14 yet, so you can’t use this feature on Production org. This feature only available in Summer ’14 release. Right now, not all sandbox in Summer ’14 yet, some of them still in Spring ’14. Check this link http://trust.salesforce.com/trust/maintenance/ if they are not listed here for Major Release Schedule, they still in Spring ’14. And for the PROD, except you in NA1, you should be still in Spring ’14. This is summer’14 enhancement, you can test this functionality in pre-release org for time being. On June 6th Sandboxes will be upgraded. oh cool, Summer ’14 for pin on report. 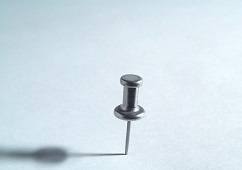 Pin on Search Result is available now. And the limitation is user can pin only 10 report folder. Love this simple enhancement. I see it in Search result. I do not see pin in my folder report?